DermaActive Review: Does it work? DermaActive is an anti-aging serum that is formulated especially for the delicate eye area which is where aging signs on the skin usually starts to appear. 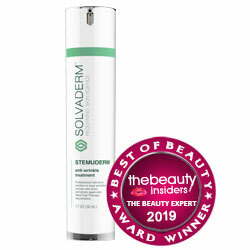 It promotes the cellular repair and regeneration of the skin while at the same time providing intense hydration. By preventing dryness, it helps in delaying the skin aging process. The product also helps repair damaged capillaries in order to reduce dark circles under the eyes. It is only offered online through a free trial that lasts 15 days upon signing up. After which, the credit card used will be charged $79 andthis also comes with a monthly auto-ship program. 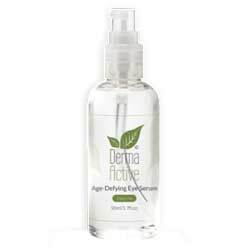 DermaActive is from a company of the same name which is a fast-growing cosmetics company that specializes in anti-aging products according to the product’s website (http://dermaactiveserum.com/). It is a special serum that uses a combination of active ingredients that are all natural. The company is not known to offer any other product. It is offered through a free trial only but this is a common practice of deceptive skin care companies. Signing up for the free trial usually comes with an automatic monthly shipment program which is the case with this product. First of all, the formulation utilizes rich anti-inflammatory and moisturizing ingredients. This helps in delaying the development of skin aging. It also offers protection to skin cells which helps reduce the severity of different aging signs on the skin. The formulation uses a key ingredient that stimulates the natural production of collagen in the skin. Thus, it makes the skin stronger and more elastic which restores its youthful firmness, elasticity and smoothness. Glycine Soja – This is one of the key ingredients of DermaActive which is rich in antioxidants that protect the skin cells from damage caused by free radicals. It is a natural extract that has become quite popular as an anti-aging ingredient. Acetyl Hexapeptide-8 – This is known to reduce fine lines and wrinkles quickly having a very similar effect as Botox injections. It is also known as Argireline which works somewhat like a muscle relaxer thus addressing one of the top causes of skin aging. Hydrolyzed Rice Protein – It is for reducing eye puffiness and dark circles although there are no details provided on the product’s website on how it actually works. Some studies have shown that it has soothing and moisturizing effects which can help slow down the aging process of the skin. Superoxide Dismutase – This is for preventing fine lines, wrinkles and age spots but there is also no information on how it works. Use in the AM and PM on clean, dry skin. Dot the formulation around your eyes then gently massage until it is thoroughly absorbed by the skin. Avoid getting the serum in to your eyes to prevent irritating them. It is advisable to test the product first on a small area of your skin in order to check for sensitive reactions. If skin irritation develops, wash with water and do not continue to use this product. DermaActive is just another anti-aging treatment being offered online through a free trial. The free trial only lasts 15 days then you will have a charge of $79 on your credit card. It also comes with an automatic shipment program so $79 will be charged to your credit card each month. The combination of active ingredients is just average but it contains Argireline which is well-known to have similar effects as Botox injections in quickly reducing fine lines, wrinkles and crow’s feet. When signing up for the free trial you should make sure to read the conditions which can be found on the lower part of the product’s website first.